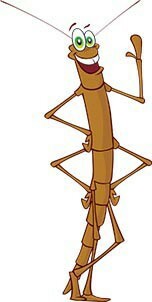 Educational and fun with these living, walking sticks. 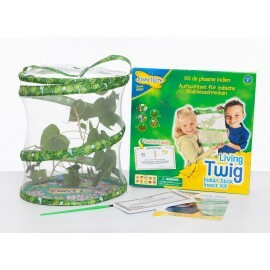 With this pack you can raise six Indian Stick Insects (Carausius morosus). Hatching can take up to 2 months. When they hatch feed the insects fresh bramble, privet or ivy. You will need to provide a container that will allow enough space for the adult insects to hang down from a twig or leaves so they can shed their skins as they grow. 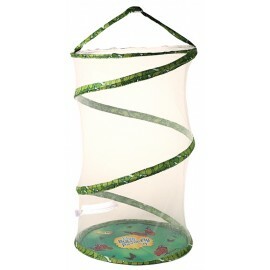 An aquarium or similar container with a cloth cover held on by elastic makes a good home. 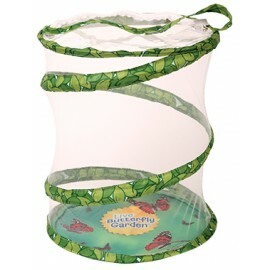 Mesh Net Habitats sold separately. Overjoyed, the eggs are hatching day by day....I am a new mummy again.....Thank you so much, I am delighted. Please note when selecting option "send insects on specific date" this is the date the eggs are dispatched, not the delivery date.